The BG-BL03 Solar Lantern has a built-in rechargeable battery that is fed with solar energy from from the included photovoltaic panel. Once the sun has set, the Solar Lantern can provide 360 degrees of illumination, to brighten every corner of a room. When fully charged, the lantern can provide six hours of uninterrupted light at maximum brightness, and it lasts even longer if the brightness is turned down. The lantern is also rain and dust proof, making it durable enough for the roughest terrains. The 3.5 Watt solar panel can also charge small devices through a USB port. 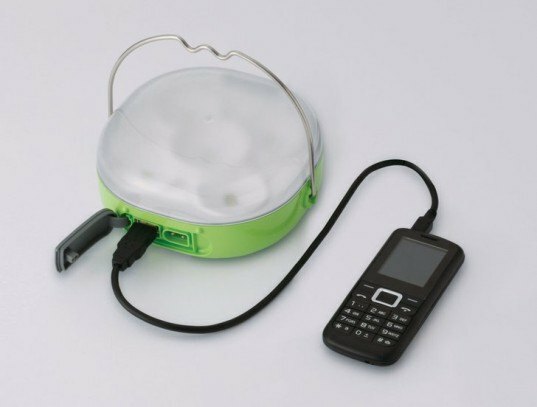 When fully charged, the lantern can give a mobile phone to two full charges. The BG-BL03 will first be launched first in Kenya, Myanmar, Cambodia, Indonesia, Bangladesh and Malaysia, and then in other developing countries.